Fold this assignment in half and create a writing prompt book. Add two additional black pages and fold them in half. 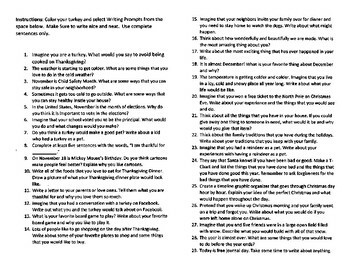 Staple the edges to create a perfect thanksgiving writing prompt book. Don't forget to number your pages. Use a ruler to create the lines to write. 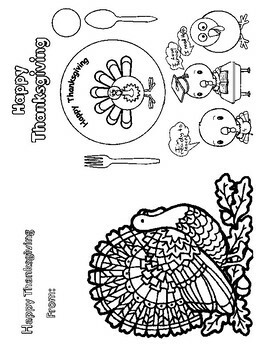 Color the student turkeys and the teacher turkey. Have fun with the assignment.